Welcome to the best, easiest and largest dating site for STD singles and friends in the world! 70 million are afflicted with STDs in the U.S. alone and an estimated 200-400 million worldwide. Are you one of them? This is an exclusive community for singles and friends with STDs. 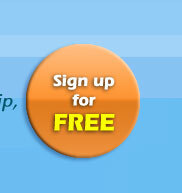 Here you can get on with your life and meet new friends, partners or potential spouses. If you just need to find someone to talk to or give them help or advice, this is the best place. Never feel lonely again! Free To Place Lifetime Ads!